The opening ODI between New Zealand and Bangladesh takes place in Napier on Wednesday when the two nations compete in the only match of the series which is under lights. Both teams will be eyeing up the chance to move one ahead with two to play. There is a series at stake over the next week but you sense this will be more about preparing for the World Cup, especially when this being the last ODI action New Zealand have before they head to England for the tournament. The Kiwis will be looking for a better outcome than they suffered in their last ODI series against India earlier in the month. They were outplayed and outclassed for large periods of that series and will not have needed telling that they should get themselves into better positions. That has gone though and they have a good chance to fine tune their games ahead of the World Cup here. New Zealand shouldn’t take Bangladesh lightly, and if anything good came out of the loss to India, it would be that they won’t take their eye off the ball here but without meaning to disrespect the tourists, when you have been playing Sri Lanka and India earlier in the summer, it is easy to get complacent when Bangladesh are up next. I am interested to see how Bangladesh go in this series. They have made enormous strides in this format of the game over the last five years or so and could go to the World Cup as genuine dark horses if they can find a bit of form with the ball. Conditions here should allow them to work on their plans and come up with the right combinations, if they have the personnel available to them. One thing we do know is that Bangladesh do not lack spirit, heart or quality with the bat. Very rarely do they not bat well these days. They have an excellent top six and a couple of allrounders down the order who are more than useful with the bat. Ultimately though, however well they bat here, their success or otherwise will be determined by how they go with the ball. Colin Munro has been sat down for the first two ODIs of the series but Martin Guptill has recovered from the issue which saw him miss the end of the India clashes. Lockie Ferguson is expected to return having missed the last T20 with India. There is no Shakib al Hasan for Bangladesh in this series which will be a bitter blow to their chances but as ever in sport when someone is missing it gives the chance for someone to come in. Tamim Iqbal should play off the back of his wonderful effort in the BPL. I’ll see how the two sides play in this opening match before I look to get too involved in proceedings but there is one line which looks way out by the dimensions of this ground and that is the boundaries line. It is 54.5 which I can only think is because bookmakers don’t expect Bangladesh to bat well but I don’t see it that way. Firstly, if New Zealand bat first then you’ve got to think that a good chunk of this line will be wiped out but even if they don’t Bangladesh hit 30 boundaries in their warm up match and never batted out the full 50 overs. Tamim didn’t play and their top three made single figures so there is plenty more to come from that unit. I expect the bat to dominate in this match so over 54.5 boundaries looks the way ahead to me. 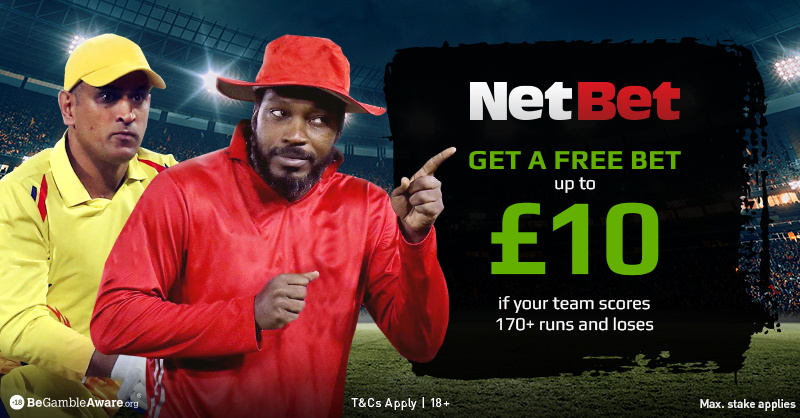 Be the first to comment on "New Zealand vs Bangladesh – 1st ODI Betting Preview"